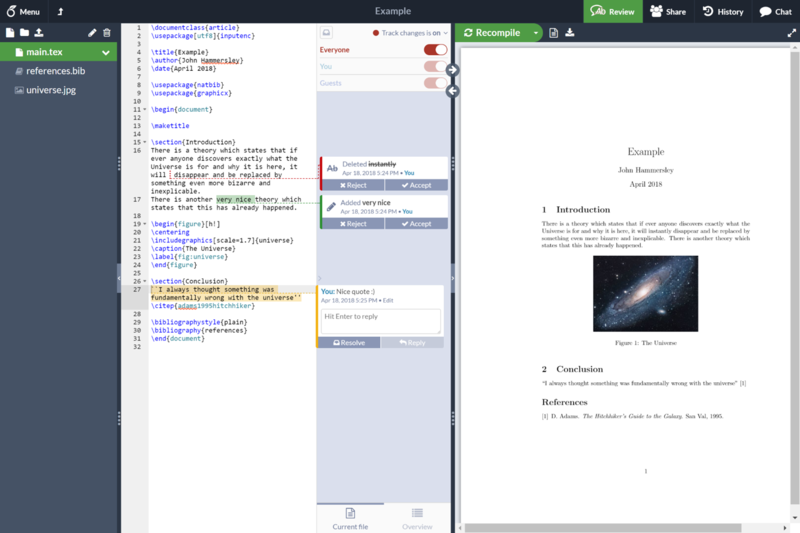 Since ShareLaTeX joined forces with Overleaf last year, our goal has been to create an online editor that outshines both ShareLaTeX and Overleaf. One that is simple to get started with for beginners, has powerful collaboration features for teams, and that seamlessly integrates with the other tools and publishers you work with. There’s still a lot of work to do on Overleaf v2 before it can completely replace Overleaf and ShareLaTeX, but we think that it’s now awesome enough for people to start using today, so head over to v2.overleaf.com to give it a try! Please do send us any feedback — we’d love to hear your initial thoughts.